Browsing Category " Isaan Nightlife "
Udon Thani is located in the North of Thailand (Isaan Region), near the border with Laos. Even though it is the 4th most populous city in the country (150,000 people), it is very laid-back and provincial. I was there for 5 days as a stopover before heading to Laos and I was not really expecting there would be any nightlife. As it turns out, I was wrong. You can find bars and nightclubs that are open and busy every night, but for that, you'll need to go outside of the tourist areas. This short review will guide through the best venues I went to during my stay. If you think I forgot one, please leave me a note in the comment section below. 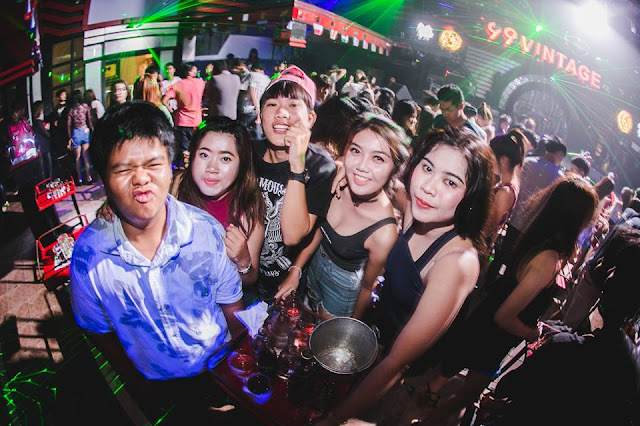 In this review of Khon Kaen nightlife, I will give you tips about the best areas to party, where to stay, my favorite venues and how to meet local Thai girls. I stayed there for two nights (Tuesday and Wednesday) and managed to visit all the famous nightclubs and bars. It's not that difficult, as you will see they are almost all within a small area. Where to Party in Khon Kaen? Khon Kaen is a medium-sized Thai city about 1 hour away from Udon Thani. There are few tourist attractions there, but it is a pleasant town with great street food and very cheap accommodation. It also has a small, but fun nightlife, which is dominated by young clubbers (students make up a quarter of the population). 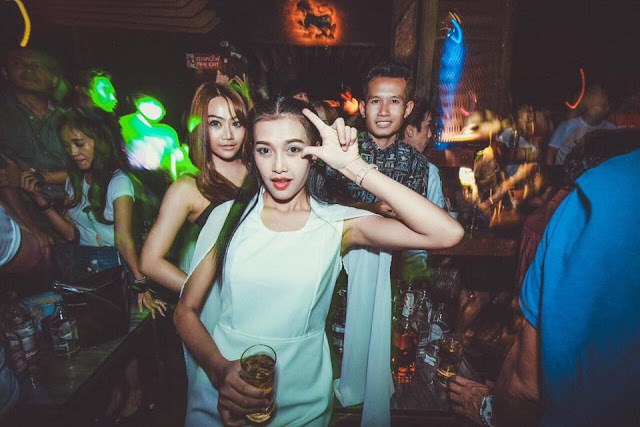 Nong Khai Nightlife: Where to Party and Drink? Even if you live in Thailand, you may not be familiar with Nong Khai. This town of 50,000 inhabitants is near the border with Laos, and it is often a stopover for people heading to Vientiane by land. This is exactly the reason I was there, for only 1 night. Naturally, I tried to find out if there was any nightlife. The city gets very quiet in the evening and you'll barely hear any noise apart from dogs barking and motorbikes. Even finding street food after 10PM can be challenging. Some areas are more busy though, with restaurants, bars, live music and even nightclubs. 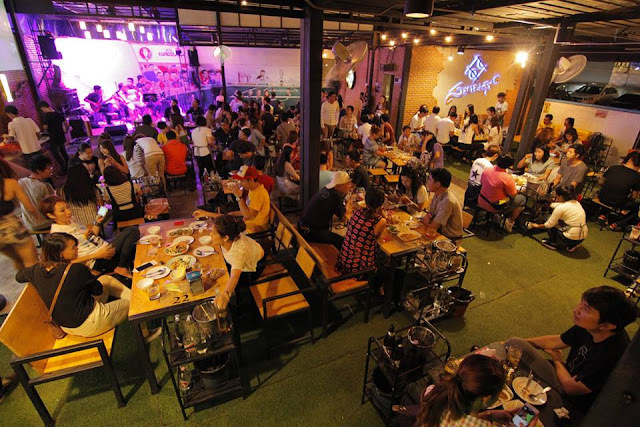 Below are my top recommendations for drinking and partying in Nong Khai: Along The Mekong River: Mostly Thais There is a nice promenade along the Mekong River called Rim Kong Alley. It is approximately 3 kilometers long from the temple Wat Hai Sok up to the Phra That Lanong (a replica temple).